Body snatching! Premature burial! Cannibalism! The original Victorian-era penny dreadfuls entertained the masses with shocks, thrills and lurid horrors. 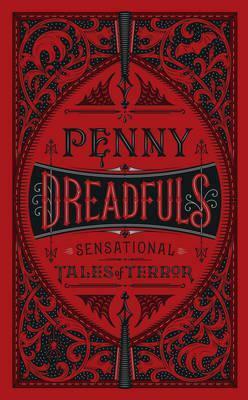 This terror-packed anthology includes two novels - The String of Pearls, which immortalised Sweeny Todd, the demon barber of Fleet Street, and the original 1918 edition of Frankenstein - as well as tales by Poe, Robert Louis Stevenson, Stoker, Alcott and Conan Doyle.